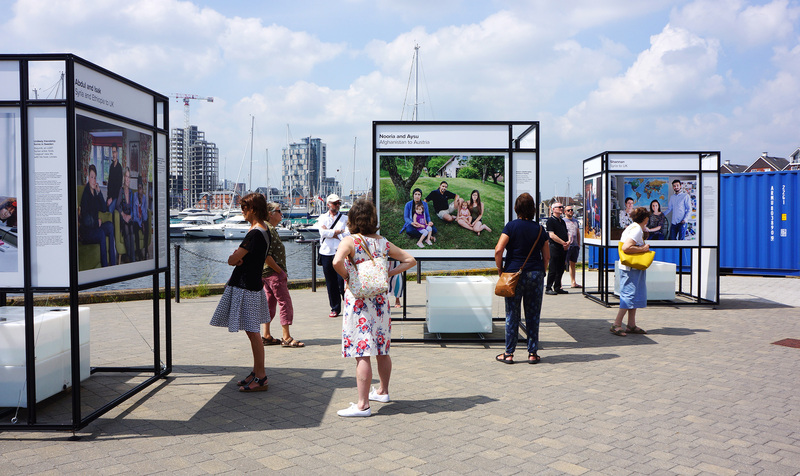 We’re delighted to announce that No Stranger Place has been selected to be part of the PhotoEast Festival and will be exhibited on the Ipswich waterfront from 24 May – 24 June 2018. Fourteen large-format prints with accompanying stories will be on display. Free admission. We’re excited to announce the launch of the latest chapter of No Stranger Place from France with a public exhibition at Ground Control in Paris, from 13 – 24 June 2018. Fifteen large-format prints with accompanying stories are on display. Free admission. Our partners UNHCR, the UN Refugee Agency, launch the France chapter of No Stranger Place with six new stories and one short film. Bright magazine spoke with photographer Aubrey Wade about the project, the power of relationships and why he chose to make ‘family portraits’. The article also features close to a dozen stories from the No Stranger Place series. Sky News spoke live in their London studios with photographer Aubrey Wade about the project and Hilary Parle about her experience hosting Yonasskindis, an elderly refugee from Eritrea, in Birmingham. The British Journal of Photography features several stories from the UK chapter and announces the exhibition at St Martin-in-the-Fields in this lovely write up. “The enduring impression this project has left on me is the way in which the lives of both the hosts and the refugees are positively enriched by the experience of living with each other,” says photographer Aubrey Wade. 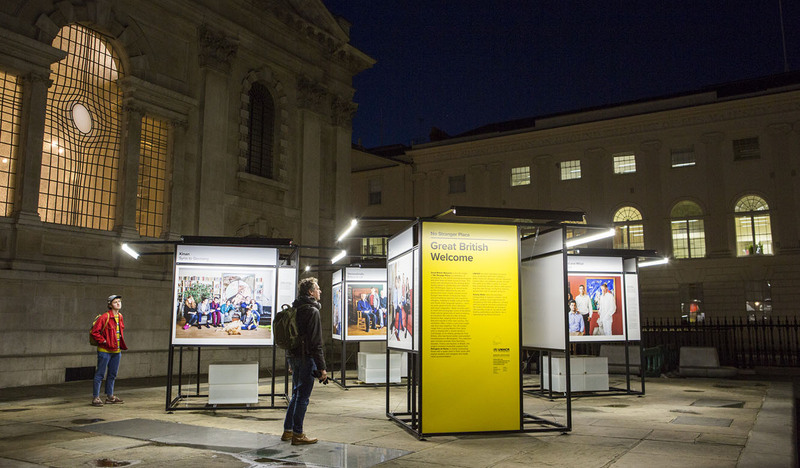 We’re excited to announce the launch of a new No Stranger Place chapter from the UK, with a public exhibition in the courtyard of St Martin-in-the-Fields, Trafalgar Square, from 16 Jan – 15 March 2018. Fourteen large-format prints with accompanying stories are on display. Free admission. Our partners UNHCR, the UN Refugee Agency, launch the UK chapter of No Stranger Place with several new stories and two short films. We’re excited to announce a public exhibition of No Stranger Place in the central courtyard of Berlin Hauptbahnhof from 10 – 29 January 2017. Twelve large-format prints with accompanying stories will be on display in a pop-up gallery space. Free admission. A great piece about No Stranger Place in the Berliner Morgenpost today. Writer Constanze Nauhaus visited the Jellinek family at home and spoke with photographer Aubrey Wade about the project’s origins. 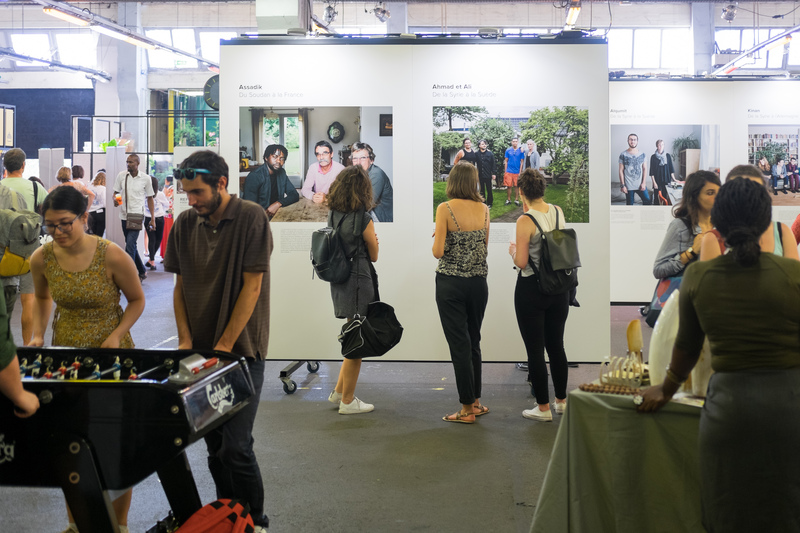 We’re excited to announce a public exhibition of No Stranger Place in the central courtyard of Vienna Westbahnhof from 16 Dec – 9 Jan 2017. Eleven large-format prints with accompanying stories will be on display. Free admission. 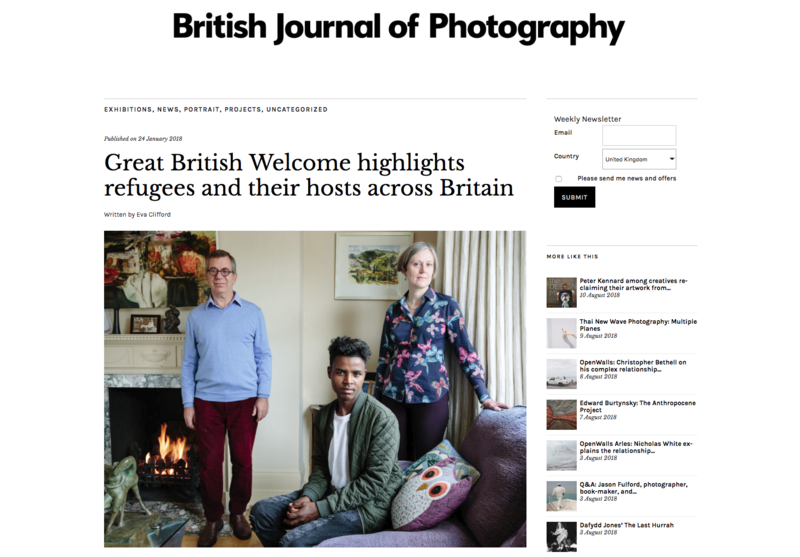 The British Journal of Photography features No Stranger Place, interviews photographer Aubrey Wade, and reports on the partnership with UNHCR. Radio FM4 interview photographer Aubrey Wade about No Stranger Place. 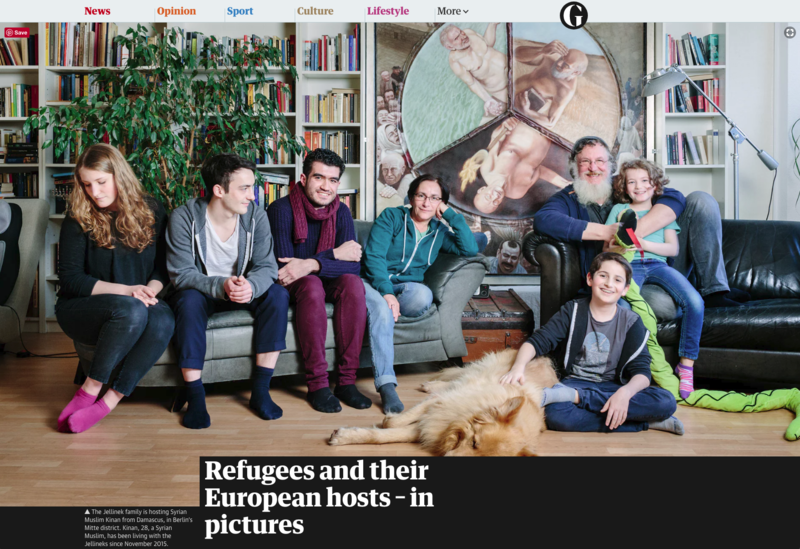 In the piece, he talks about the project and some of the people featured in the photographs. Our partners UNHCR, the UN Refugee Agency, launch No Stranger Place with nine stories, two short films, and practical advice on how to help. 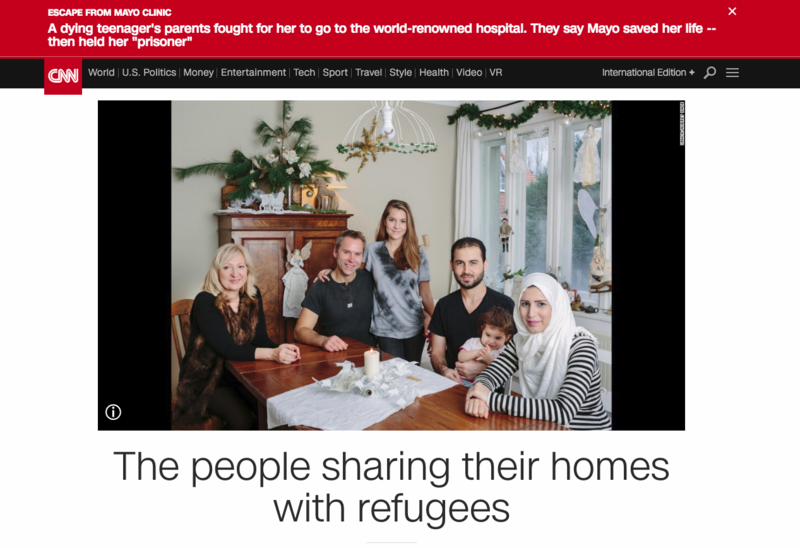 CNN International launches the No Stranger Place series on the anniversary of Aylan Kurdi’s tragic death, with fourteen portraits and stories from Germany, Sweden and Austria.